SHAH ALAM, 16 April 2011 – Seorang ibu di sini melahirkan rasa kecewa terhadap sikap pengetua sebuah sekolah menengah kebangsaan yang tidak mahu mengambil tindakan terhadap lapan pelajar yang memukul anaknya. Ibu itu berkata, dalam kejadian pada 13 April 2011, anaknya mengalami kecederaan teruk selepas dipukul di kawasan sekolah. “Selepas membawa anak saya ke hospital bagi mendapat rawatan, saya ke balai polis untuk membuat laporan kerana bimbang berikutan anak saya luka di kepala, tangan dan lebam di badan,” kata suri rumah itu dalam aduannya kepada Uthaya Sankar SB dari Perunding Media, Motivasi dan Penerbitan Uthaya (Uthaya’s Media, Motivation and Publication Consultancy), di sini, hari ini. Menurut keterangan bertulis oleh salah seorang saksi, pelajar Tingkatan Tiga itu dipukul menggunakan kerusi sebelum dipijak, ditendang dan dibaling kasut oleh lapan pelajar Tingkatan Empat. “Pada pagi 15 April, saya ke sekolah untuk bertemu pengetua tetapi kecewa kerana terpaksa menunggu lebih sejam. Pengetua datang lewat ke sekolah dan kemudian duduk makan di kantin. “Apabila akhirnya saya bertemu beliau, pengetua itu berkata, beliau tidak mahu masuk campur kes ini walaupun kejadian berlaku di kawasan sekolah,” kata suri rumah itu. Satu sidang media dijadualkan pada pagi 17 April 2011 di Taman Sri Muda, di sini, di mana suri rumah berkenaan akan mengemukakan salinan laporan polis, salinan keterangan saksi dan salinan foto kecederaan mangsa, selain menjawab pertanyaan wakil media. Wakil media yang berminat membuat liputan kes ini diminta menghubungi Uthaya melalui talian 016-3288142 atau uthayasb@yahoo.com.my untuk maklumat lanjut. Perunding Media, Motivasi dan Penerbitan Uthaya menyediakan perkhidmatan rundingan media secara percuma kepada anggota masyarakat yang memerlukan panduan cara-cara bekerjasama dengan wakil media. Nizar’s DUN Perak motion on ‘Hindraf, National Secretary, assaulted’! But no motion on land denied to Kg DBI, all Hindu temples, cemeteries & 138 Perak Tamil schools and similarly nationwide. We appreciate this ex Perak Nizar Jamaluddin’s motion at the Perak State Assembly on Hindraf Not Secretary P. Ramesh being assaulted by the police, leading to him being warded at the Ipoh General hospital for merely peacefully gathering in front of the Perak State Assembly demanding land for Indian poor village Kg DBI in Ipoh, Perak. For the very first time ever such a motion had been moved in Malay-sia, arising from Indian poor, by Pas, DAP and PKR and also being supported by the ex de facto deputy Chief Minister of Perak Ngeh Koo Ham. This is the true PKR, DAP and PAS multi-racialism that we want to see, and that we have been complaining PKR, DAP and PAS has refused to do. Nizar Jamaluddin and Ngeh Koo Ham should have also similarly moved a motion, held public forums, public protests also for the Kg DBI Indian village and all other Indian villages, all Hindu temples and cemeteries and all 138 Tamil schools in Perak to all be once and for all be granted Perak state government land. When these land are granted it would effectively solve at least half the Indian problems in Perak vis a vis Malaysia when similarly done at Parliament and at the national level. This would also give the Indian poor a permanent solution as opposed to the present “wayang kulit” and piecemeal solutions especially using the UMNO, PKR, DAP and PAS Indian mandores. This would naturally make Hindraf and HRP irrelevant and die a natural death. 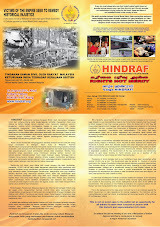 Our challenge to PKR, DAP and PAS leadership is to make Hindraf and HRP irrelevant. We are not desperate politicians. We have been forced into politics out of necessity and because we did not want PKR, DAP and PAS to amongst others engage in mandore politics and take the Indians poor for a another 50 years of ride as what UMNO had done in the previous 50 years. It makes that difference when a Malay and Chinese PKR, DAP and PAS leaders champion a serious and pressing Indian problem. If and only if this first real move by PKR, DAP & PAS becomes the order of the day as is practiced in the western civil societies where the majority and economically powerful bend backwards to champion the plight of the minorities, then we don’t need Indian MPs’ and ADUNS’. We are even prepared to abandon HRP’s Project 15/38 if these western civil society standards of multi-racialism is practiced in One Malay-sia. This was done with lightning speed and in about one month of the Selangor and Perak State governments taking power. “Perak ingkar arahan Majlis Tanah Negara” was the headlines in Utusan Malaysia on 1/1/2009 which reported that “349 Rancangan Perkampungan Tersusun (RPT) and 134 New Villages in Perak with 110,000 and 102,000 (60,000) titles respectively to be given out irrespective of the National Land Councils orders involving almost all Malay and Chinese owners and land recipients. Freehold titles for just RM63.00 for 110,000 planned villages (almost 99% Malay) and 102,000 (60,000) (estimated at almost 99% Chinese) Chinese New Villagers in Perak. “The value of these properties will then go up and they can apply for bank loans to rebuilt their houses” says Datuk Ngae Koo Ham, the Senior DAP EXCO Member for Perak (NST 10/10/2008 at page 23). The PKR, DAP and PAS Perak State government also allocated 1,000 hectares (about 2,500 acres) of land to nine Chinese schools “for them to generate revenue to pay for their perational expenses” says PAS Perak Menteri Besar Datuk Nizar Jamaluddin (NST 31/8/2008 at page 38). The schools were urged to form a company to work the land and share the profits among themselves. The Pakatan Rakyat Menteri Besar also donated RM30,000.00 for each of the nine schools. Even after UMNO/BN taking over power in Perak in February 2009, the new UMNO Menteri Besar Zambry Kadir in about one months time confirms “State BN to carry on with (permanent) land title plan to the said 132 Chinese New Villages and in the 349 (Malay) planned villages (NST 7/3/2009) and “The BN Government in Perak will give due consideration to the 1,000 hectre piece of land meant to help the nine Chinese independent schools in the state to be financially self reliant said BN Menteri Besar Zambry after flagging off a cross country run involving representatives of the independent Chinese schools (The Star 8/3/2009). The Perak Menteri Besar Datuk Zambry Kadir said a solution would be worked out to safeguard the interests of the orang asli community and customary rights to their ancestral land. It is a state priority. (NST 9/3/2009 at page 8). But what about land for the landless indians, tamil schools, Hindu temples and crematoriums? Why is this not a state priority by both UMNO and PR. Because we are Indians? This the clearest ever and latest example of how both UMNO/BN and PAS, PKR, DAP/PR does not care for the Indians. Then the 3.3 hectares of land for every orang asli family was approved. 18,000 hectares of forest land have been gazetted as orang asli reserve and another 30,000 hectares more are waiting to be gazetted, says Perak Senior EXCO Member Datuk Ngae Koo Ham (NST 20/9/2008 at page 20). The PR Perak State government then again granted a 99 year lease for 101 hectares of land to the proposed RM450 million and private profit motivated Premier International University and with the possibility of an additional 20 hectares (NST 18/9/2008 at page 20). But 110 out of 138 or about 80% of the Tamil schools in Perak are still not fully aided because the land these schools are sitting on does not belong to these schools and on this grounds the UMNO Federal government has refused to grant full financial assistance to these schools. (UM 3/9/2008 at page 27). Hundreds of sub-races have been included in the application form for entry into local univerisities, and this has got a former state Bar Council chief all riled up. IPOH: The new application forms for entry into local universities issued by Unit Pusat Universiti (UPU) for this year makes a mockery of Najib Tun Razak’s 1Malaysia concept to unite all races. Former Perak Bar Council chief M Mathialagan said: “Previously, there were only four columns to indicate the race of a university applicant – Malay, Chinese, Indian or other races. “But now these four columns have been further sub-divided to include hundreds of sub-races that is mind-boggling and makes a mockery of the 1Malaysia concept,” said the outspoken lawyer. He said the Malays have been subdivided into six categories: Bugis, Boyan, Banjar, Jawa, Jawi Pekan and Minangkabau. The Indians are sub-divided into eight categories: Malayali, Punjabi, Sikh, Tamil, Telegu, Malabari, Indian Muslim and Orissa. The Chinese race is sub-divided into 12 categories: Cantonese, Foochow, Hainansee, Henghua, Hokchia, Hokchiu, Hokkien, Khek (Hakka), Kwongsai, Teochew, Kongfoo and Hylam. The Orang Asli (Peninsula) are sub-divided into eight categories: Jakun, Negrito, Sakai, Semai, Semalai, Temiar, Senoi and Penan. The Sarawak population has the largest number of sub-divided races (57) while Sabah’s population is sub-divided into 36 categories. “The requirement by the UPU application forms is counterproductive and is a mockery of Najib’s 1Malaysia concept. Why the need for this now?” he asked. “This will only generate class consciousness among Malaysians and divide the people further,” he said. According to him, a university applicant has to pay RM50 to BSN to get a pin number to access his application form from the Internet. The closing date for this year’s intake into local universities was April 4. Video: P.Ramesh, Sg. Siput MP & 12 others arrested.